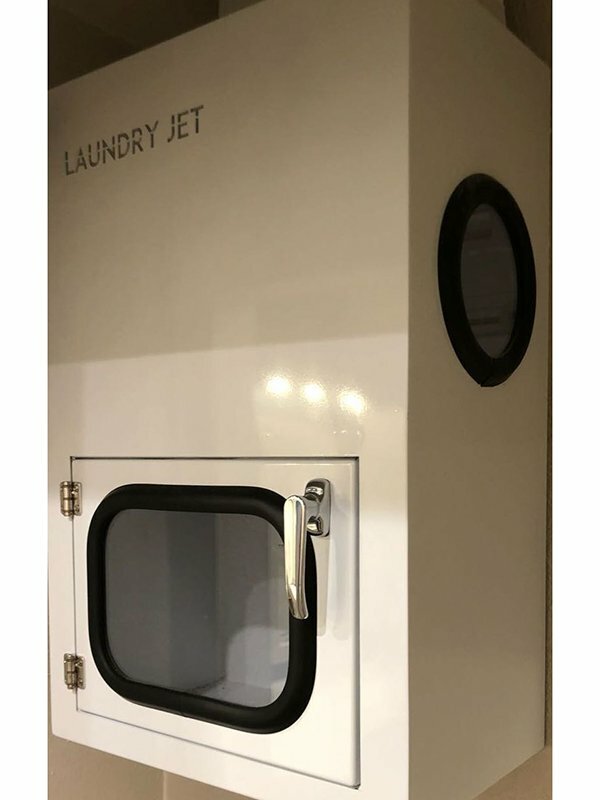 Laundry Jet is truly the first modern, on demand, end to end air powered laundry delivery system to revolutionize your carrying dirty and clean laundry around your home. Laundry Jet is not restricted by location and works using our efficient patented Posiflo air system to transport dirty (and now clean laundry with our new Return Unit) at the touch of a button. Say goodbye to the over flowing full laundry basket and multiple laundry baskets across your home. 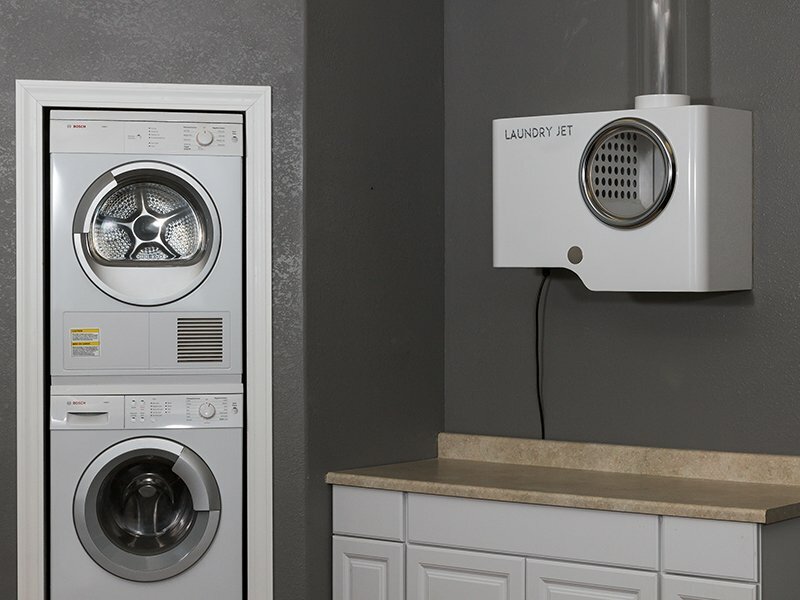 Our unique vacuum laundry chute design makes it possible to have multiple laundry port locations anywhere in your home to send laundry instantly to the laundry room. 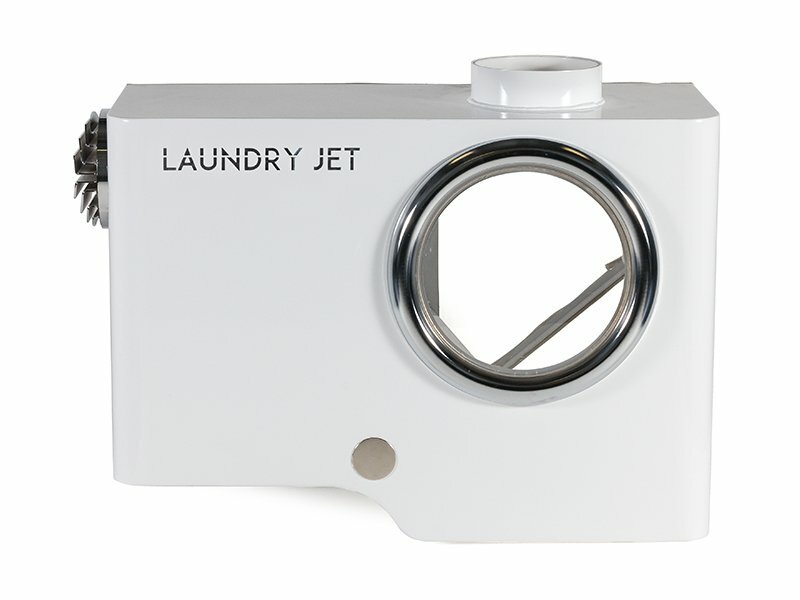 Perfect for single and multi level homes Laundry Jet can be added to new builds or retrofitted into existing homes. The system is powerful enough to handle almost any type of laundry from socks to large blankets and even damp towels. The new return unit also allows you to send cleaned and dried laundry back up to a bedroom or closet saving a lot of time an effort every week. The new sleek low profile metallic mirrored wave port adds style and handsfree functionality to complement the most discerning Smart home customers. 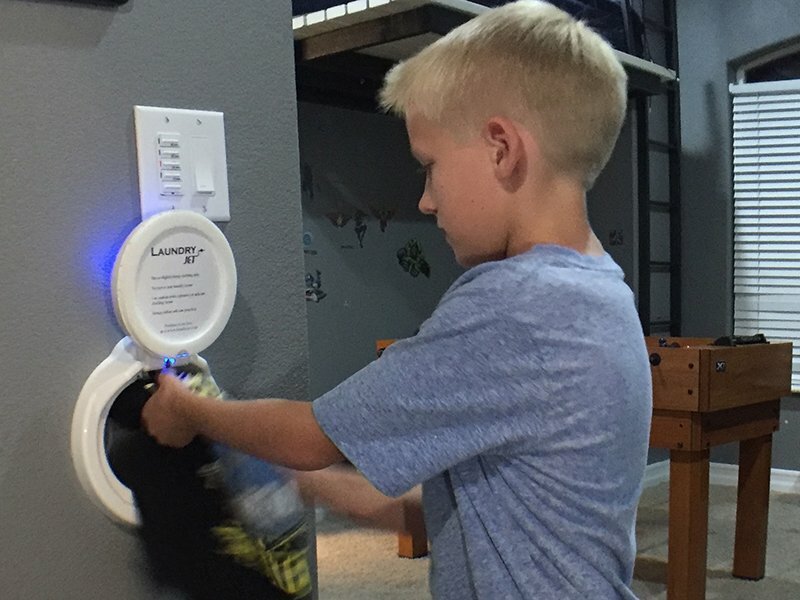 Homeowners love Laundry Jet for many reasons. Once installed you no longer need to have laundry baskets in your home leaking stale odors and surrounded by clothing items that either missed or fell out. These then do not need to be hauled around the home, up and down stairs or even from one end of the house to the other which saves time, effort and hassle. The flexibility of the systems means that you can put ports near to where you and household members undress, in bedrooms , bathrooms or closets and the laundry room can me put anywhere in your home, even on the top floor as the machine can send laundry up down and sideways. 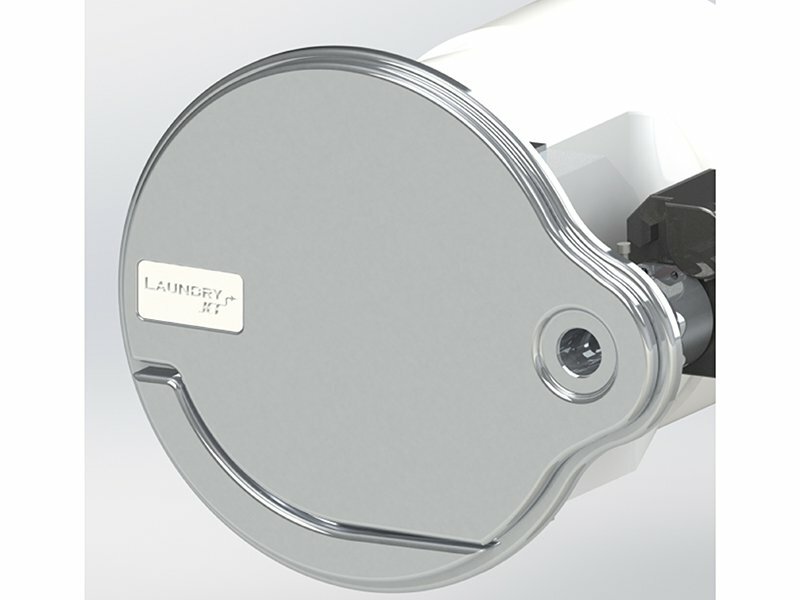 The system is especially useful for assisted living situations, large homes with large families, homes with many floors and also for those customers with reduced mobility. The addition of the new Return unit also now allows the sending of clean dry clothing back to a chosen room in the home, (typically an upper floor) for folding and ironing. New sleek, mirrored, metal, hands-free Wave ports present the most stylish finish possible, adding value and saving time and hassle every day with total automation.